Spetses by night. Photo courtesy Annika Barbarigos. House on the Spetses coastal road. For Sea Transportation from Piraeus (Athens) to Spetses through Let's Ferry, click here! Spetses, an island with a long naval tradition, is famous for its contribution to the 1821 War of Independence. The island has retained its individual traditional character thanks to the well-preserved grand captain mansions, still bearing eloquent witness to the island’s glorious past. 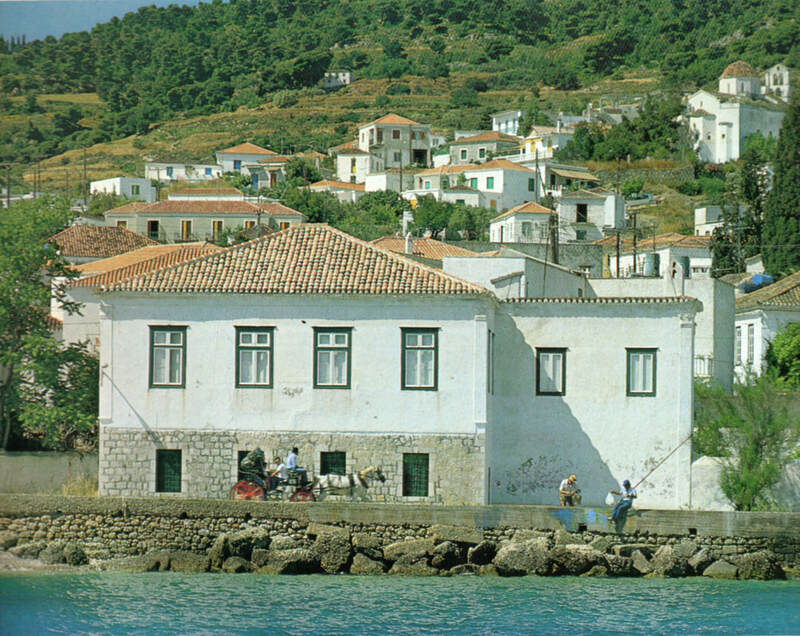 The picturesque old harbor and Dápia, a tourist and commercial center are the trademarks of the town of Spetses. The picturesque old port and Dápia, a tourist and commercial center where the heart of the island’s entertainment beats, are the trademarks of the town of Spetses. Take a romantic trip around the island in horse-drawn carriages and admire the grand mansions adorning the narrow cobbled streets. Visit Spetses during September, when “Armata”, an impressive re-enactment of a naval battle takes place ever since 1931. If you are a sports lover, you don't want to miss the athletic events organised every year in April "Spetsathlon" and in October "Spetses Mini Marathon". The rich history and naval tradition of the island is reflected on numerous sites that are definitely worth visiting: the House of Bouboulina, the House of Hatzigiannis Mexis, the Church of Panagia Armata, the Cathedral of Agios Nikolaos, the War Memorial of the Spetses Navy, the Clock in Rologioú Square, and the Anargyreios Korgialeneios School, today housing the Center of Environmental Education. Head to the island’s sun-drenched beaches and swim in blue waters with a beautiful pine-forest as backdrop: Agioi Anargyroi, Agia Paraskevi, Agia Marina, Xylokériza, Vréllos, and Zogeriá. 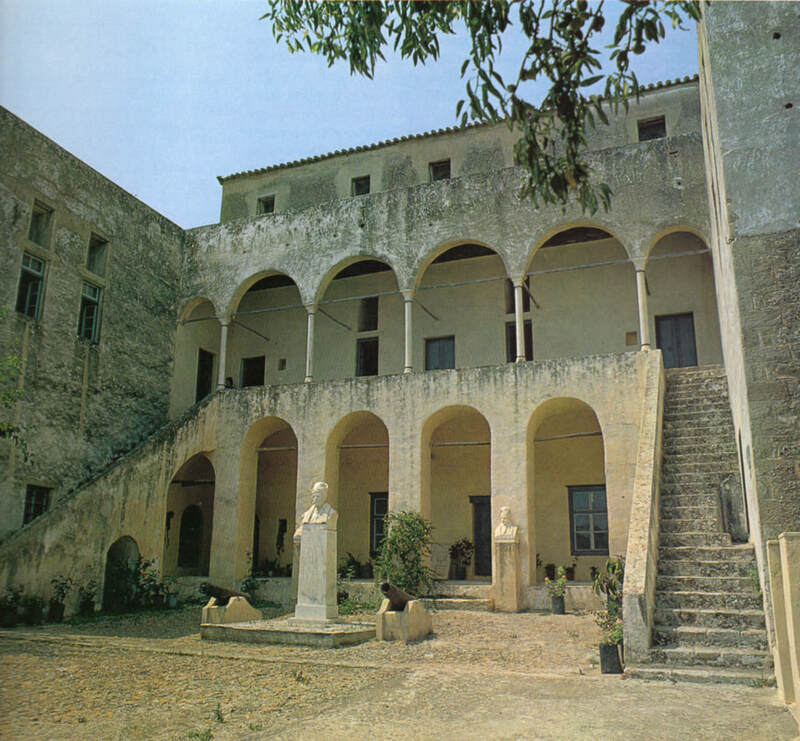 The Spetses Musem (the house of Hatziyannis-Mexis). 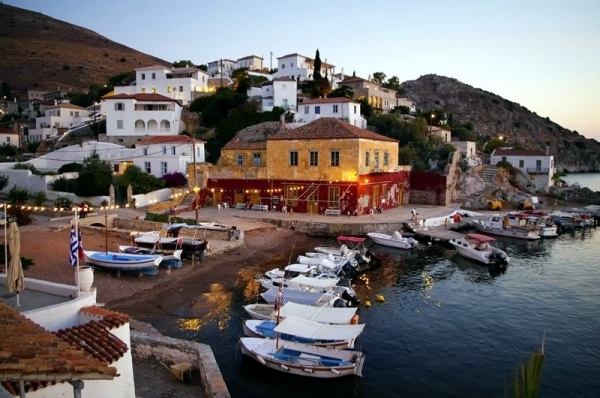 Three gorgeous Greek islands in one day on an island-hopping cruise from Athens! 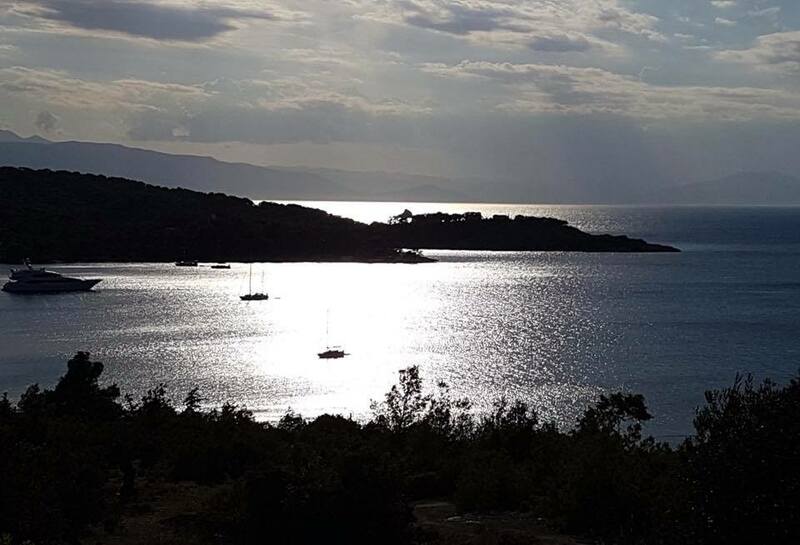 Visiting the Saronic Islands of Hydra, Poros and Aegina, this independent sightseeing tour includes a delicious Greek lunch and ship transfers. See the sights, shop, swim or join exciting excursions, like a trip to the Temple of Aphaia (at own expense), on this must-do day trip from Athens.